Blue Genie Entertainment and the Playhouse are pleased to announce this year they will be supporting the Blyth-based Charity Darcey’s Dream. Darcey’s Dream provides support to grieving families that have lost a child through miscarriage, stillbirth, neonatal death, sudden infant death syndrome, illness, infection, accident, or terminal illness from babies through to teenagers. There is support and help for all family members with a special focus on support for siblings. The support for siblings helps them deal with losing a sister or brother and helps them create memories with their sibling that has passed. Darcey’s Dream was set-up by Blyth-based Petra Williams in the name of her very special little girl called Darcey Leigh Stephanie Williams. Darcey tragically got her wings and became an angel on 1st February 2017 at 8.42am. It is so hard to ever understand how a baby or child can die and Darcey left behind a twin sister, elder sister, mummy, daddy and lots of family and friends. In the hardest and darkest time of their lives, Darcey's parents had to become counsellors, psychiatrists and twinless twin support workers over night whilst dealing with their own grief in order to support their other children through the loss of their sibling. They had to try and be strong for their other children whilst their world was falling apart. This is where Darcey's Dream comes to life, as Darcey's final dream is that bereaved families and siblings don't feel alone in the darkest and hardest days of their lives. Last year, Blue Genie Entertainment and the Playhouse raised over £5000 for the North Tyneside based charity Out Of Sight and this year they are aiming to raise even more for Darcey’s Dream with two special performances on the 9th and 10th of December at 4:30pm where children can have their photos taken on stage with Cinderella and her ponies for a small charitable donation. 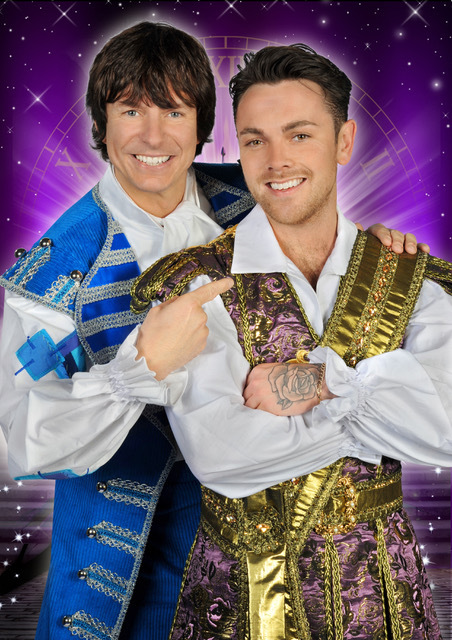 Cinderella, starring the super talented Ray Quinn and hilarious Playhouse favourite Steve Walls, will open on the 2nd of December 2017 and finish on the 7th of January 2018. Tickets for Cinderella costing from £15 are available now. Tickets are available from the Box Office open Monday – Friday 10am – 4pm, Saturday 10.30am – 2.30pm plus until show start on event days. 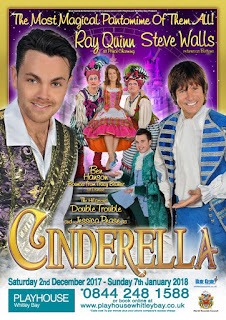 Tickets can also be purchased on the booking hotline 0844 248 1588* or online from ouraffiliates Eventim UK LINK.